“It is a box that I put something very special in, Sommer,” she answered. I couldn’t understand how anything could fit in that teeny, tiny box. 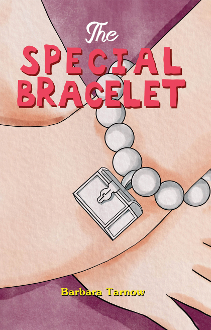 Join Sommer as she learns about the tiny box on her bracelet. This is the second book that Barbara Tarnow has written based on her experience she has had with students. Her first book was My Friend Noah. Barbara is a special education paraprofessional at Cloverleaf Elementary School in Georgia. She loves helping out at sugar glider rescue organization, FunEver Gliders. She lover her sixteen sugar gliders too.